A bright career and prospective future is something that every student aspires for. Those, who are studying engineering, always have a dream of pursuing their studies further in the most prestigious institutes of the country such as IITs or NITs for their masters in engineering courses. However, not everyone’s dream is fulfilled. This is not because of the lack of their capability, but because of a lack of strategic planning and preparation. This is where the need for a good coaching institute comes in. When you want to get admission to the IITs or NITs or other top institutes of the country, you will have to crack the GATE with amazing scores. 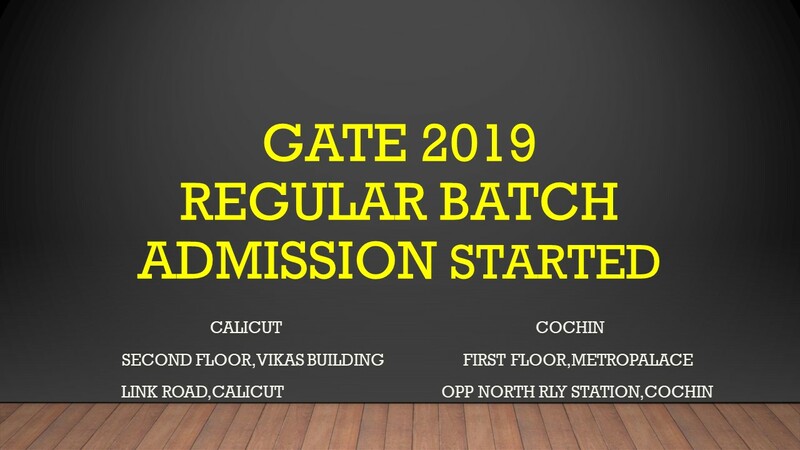 The GATE or the Graduate Aptitude Test in Engineering is one of the most difficult examinations in the country for engineering students to get admission to IITs and NITs for master degree courses. 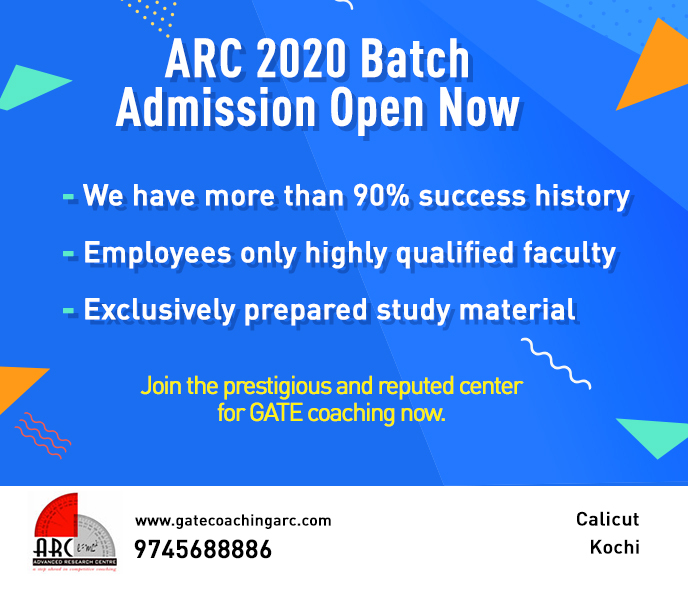 To make this examination an easy one and to assure good GATE score, ARC Foundation is the best GATE coaching in Kerala. While you are preparing for the GATE, the study materials play a very important role. They will ensure that you do not waste much of time in studying the less important things and they also make sure that you learn all the important topics in details, point by point. If you use the engineering books as your study materials, it will take you forever to prepare for the examination. It becomes very difficult to eliminate the less important things from the most important things. Therefore, the study materials play a very crucial role in your GATE preparation. Good study material is the USP of ARC Foundation. They have the best of faculties, who are professors in IITs and NITs and other prestigious engineering institutes of the country. Therefore, they know exactly how the study materials should be designed for the benefit of the students. What makes ARC Foundation coaching classes one of the best GATE Coaching Centres in Ernakulam is their thorough and detailed classroom training. They offer 600+ hours of classroom training, which is very helpful for the GATE aspirants to learn the important topics in details and clear their doubts in the class. GATE is something that requires thorough and detailed preparation from well in advance. Therefore, many students prefer to start their coaching from the second or third year of their engineering graduation. However, if you are in the last or final year of your engineering graduation course, then also you can start your coaching. Both will follow different strategies for preparation for the GATE. ARC Foundation has two separate coaching classes for them – one for students in 2nd or 3rd year of graduation and the other for final year students. Whatever your need is, you can join them and make sure that you are prepared properly for the next GATE. The best part of one of this GATE coaching centres in Calicut, ARC Foundation is that they only allow 60 students in each of their classes. This makes sure that the professors can teach the students thoroughly and there is a one-on-one interaction between the professors and the students. This helps them clear their doubts as well. Mock tests are very crucial for succeeding in the GATE with great score. Since only tests can give you the idea of how much you are prepared, ARC Foundation ensures that you take 23 full length online examinations for testing your preparation level. The 50 subjective online exams also give you the idea of the areas that you need to focus more in. Undoubtedly, these facilities make ARC Foundation the best GATE coaching in Kerala. One of the biggest reasons why GATE aspirants should join ARC Foundation is the high achievement rates of their past candidates, who qualified with flying colours in the GATE 2017. From amongst the 180 students who appeared for the GATE 2017, 161 had qualified the exam. All of them have scored a rank in the exam. 11 of them went to the IITs and 82 went to the NITs. Not just this, even in IISc, 4 of the ARC Foundation candidates have secured an admission. Since the GATE score helps in PSU jobs, 6 of students from ARC Foundation have also managed to get jobs in PSU in the first attempt. This is a huge success rate that surpasses the success rates of students who went for GATE coaching in Hyderabad and Delhi. If you too want to wish to crack the GATE 2018, you should join ARC Foundation for the next session. ARC Foundation is one of the best GATE coaching centres in Kochi. We have a legacy of training aspiring candidates to help them crack GATE and CAT examinations.